Tag Archives for " alternative travel "
“A life on the ocean wave! A home on the rolling deep! Where the scattered waters rave, and the winds their revels keep!” – Opening lines from a poem by Epes Sargent. 1813–1880 which was later turned in song by Henry Russell in 1838. BBC Travel show has an interesting short story about becoming a passenger on commercial Cargo ship or freighter. It opened with the Hurtigruten that sails up the artic coast from Oslo to Kirkenes are showed surprisingly good creature comforts that were very similar to a cruise ship. The film also showed a lesser luxury case where Christoph Schwartz went from Hamburg to Shangei via Rotterdam, but got paid on the way as a Steward. 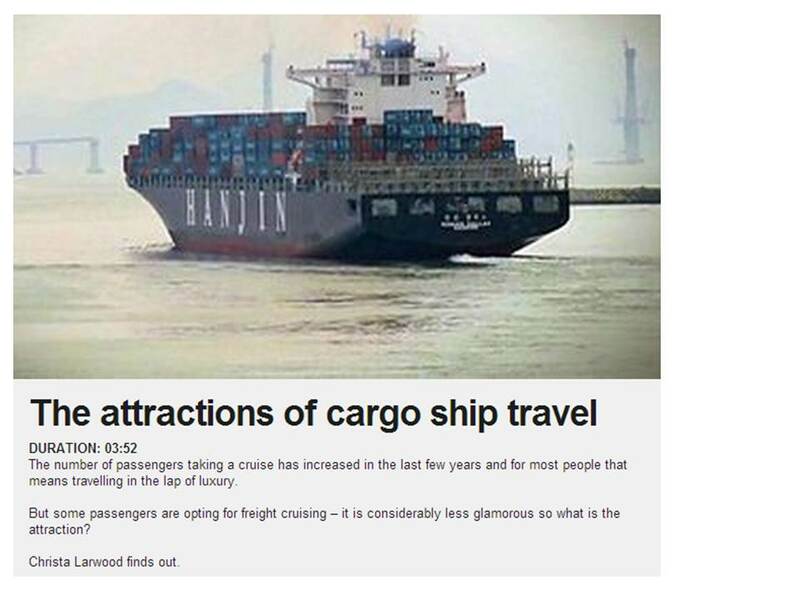 [the BBC is being a bit disingenuous here in that it is not common]. There was one problem with his trip: it’s boredom. A few years back we looked at this as an option of going form US East coast to UK but we quickly released it’s disadvantages: Time to complete the journey, lack of flexibility in your agenda, relatively high cost (you are paying equivalent of a hotel per night) and something we shouldn’t but do care about, lack of internet access. Continue reading..